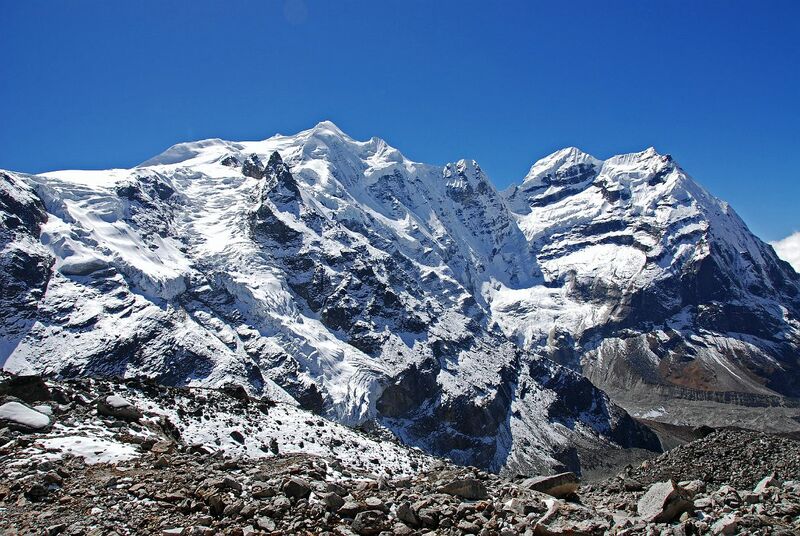 22 days of trekking in the high range of the Himalaya and climbing up the Kala-Patar (5545 m), and the Mera Peak (6476). – Technical difficulties on Amphu Labtse and Mera peak. Monasteries in Phakdingma, Thame, Namche, Pangpoche and Tengpoche as well as numerous gompas. Rhododendron flower April to June. Market in Namche (every Saturday morning). Day 22 Return flight to Kathmandu. Best Time April until May, and October until November.